Many people have difficulties following and understanding conversations in situations like in a restaurant, in meetings, or just have a hard time understanding conversations in noisy daily life. The ExSilent HearYouNow app will help you understand conversations better. 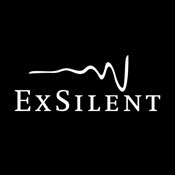 ExSilent is a Dutch manufacturer of hearing aids, operating worldwide. The company’s goal is to lower the barrier for people who could use a hearing aid because of hearing loss, but who are not ready for one yet.